nation. Click on the link above to visit the page. I did not want to compromise them. This site is dedicated to the memory of our classic cars from the past. has been lost forever in the mists of time. muscle cars, antique cars, limited production cars from the past for your enjoyment. Some you may have seen before, many you have not. Enjoy the site, and thanks for your visit. special care to only host automotive related firms with a solid reputation the response was poor. I like many others am relucant to buy over the net so I do understand. I will keep this site up as long as I can without financial assistance. 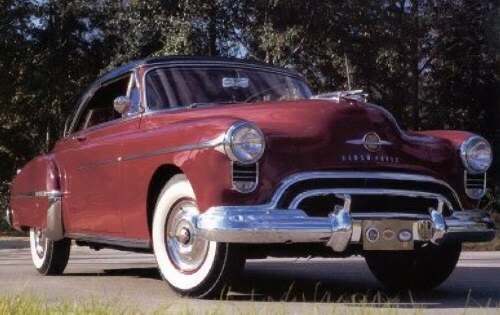 The "Rocket 88" is considered the first post-war era American muscle car. controlled by an electric self leveling system. less than John Z. Delorean. 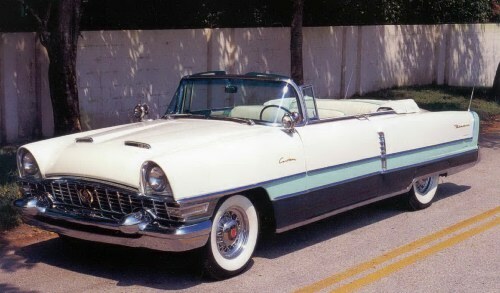 Only 630 of these were built in 1957, sold for $5782. during the NASCAR trials at Daytona. This particular car has all of the available accessories. then you'll know it's a Pontiac." production record in 1950 of 453,047 units. compression ratio heads this car could turn the 0 - 60 in 8.9 secs. Tom McCahill of 'Mechanics Illustrated' called it the poor man's Ferrari. extra 15 - 25 horsepower. Officals claimed it was intentionally planned by Chev's engineers. Stewart Warner gauges, seat belts, bucket seats, and a floor console. built from 1949 through 1954. Guest book located on last page. owners and are used here for illustration, description, or reference ONLY.